This week’s Cee’s Foto Fun Challenge (CFFC) is the letter C- the C word needs to be at least 4 letters in length. 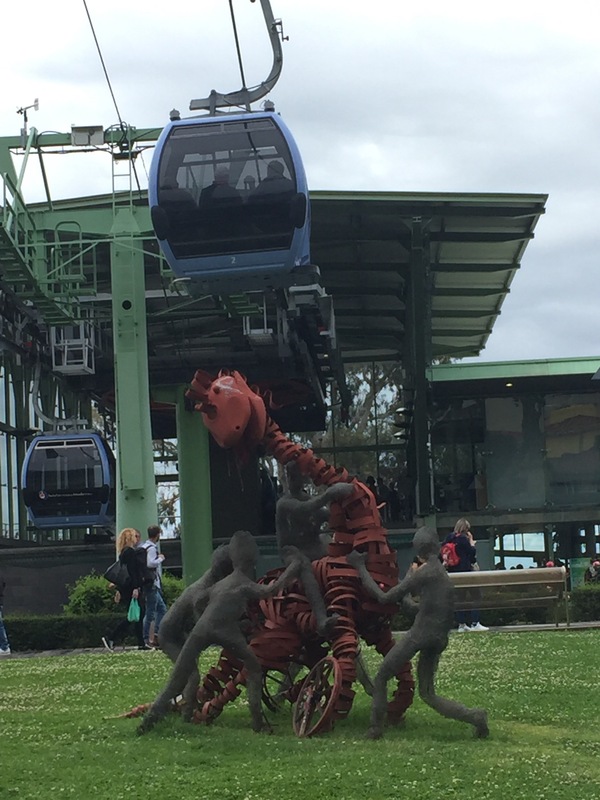 I took this picture because of the unusual sculpture on the ground, but after taking it I realized that the cable car was right above the sculpture. I really like the way it turned out. 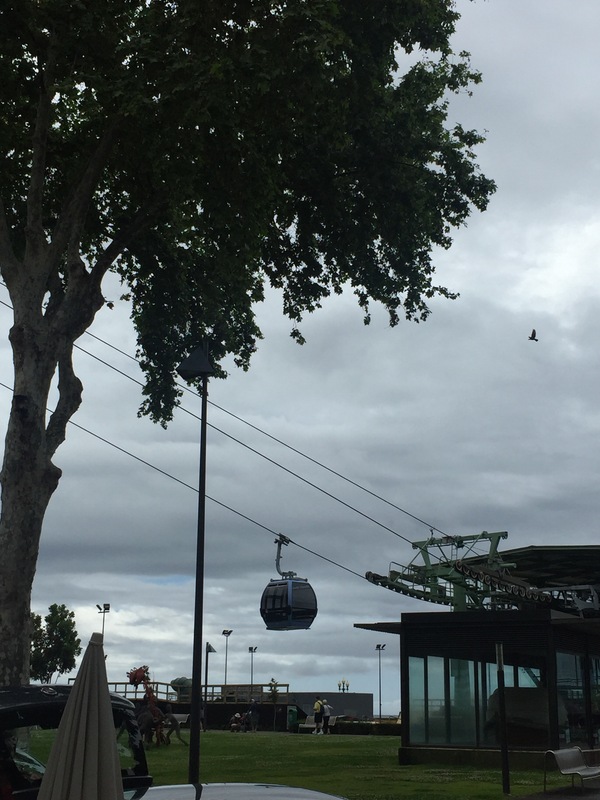 Here is another view of the cable car.